The performing arts program was developed by industry masters for students eager to become professional dancers, actors, artists, filmmakers or all of the above. 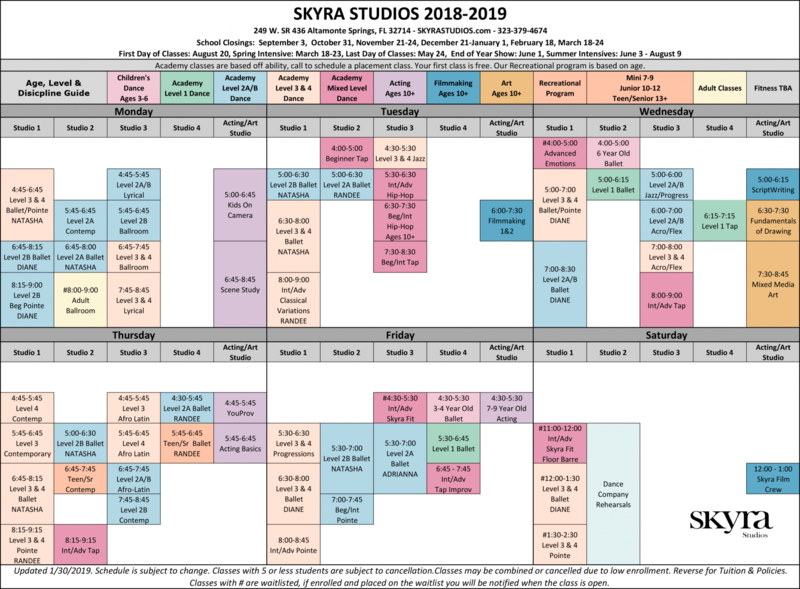 Skyra offers multiple tracks with a diverse schedule of classes for students to focus their disciplines, preparing them for professional careers in the arts. 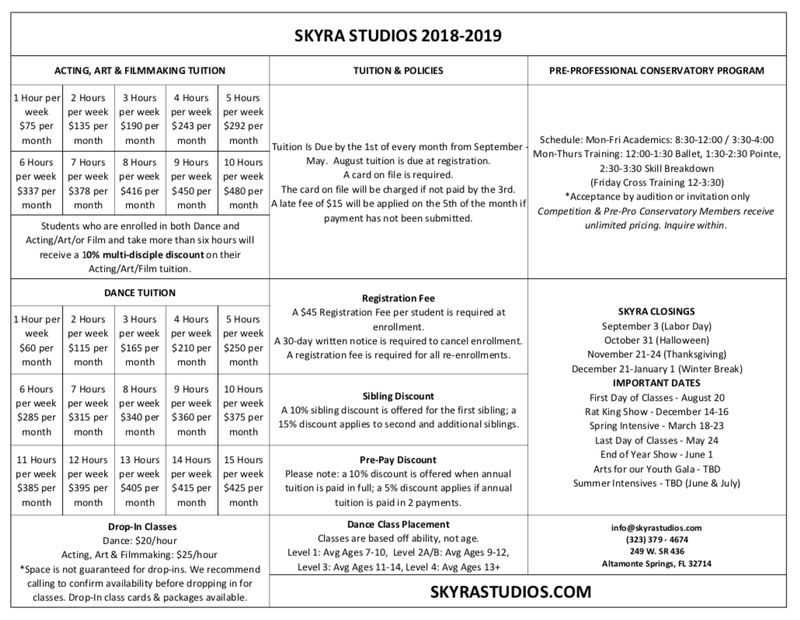 Learn more about our dance, filmmaking, acting, art, and fitness classes by visiting the program pages. Let us build a schedule that is customized to fit your needs. Our Academy classes are level-based and you will be placed in each class based on your level. Please call to schedule a placement class. New to Skyra? Stop by for your FREE trial class. Please call before coming for drop-in or make-up classes to be sure we are holding the class.